Hyde Hall spaces are used year-round for faculty development programs and activities offered by the Institute for the Arts and Humanities. Hyde Hall spaces are available for activities related to our central mission of supporting faculty. Please see our policy and pricing. The University Room: Seats a maximum of 80 people in the theater-style configuration. The University Room: Features a projector, a piano and sound technology. In the theater-style configuration, the room seats up to 80 people. The University Room: Upon request can feature a raised stage area. This is often used for events featuring panels. 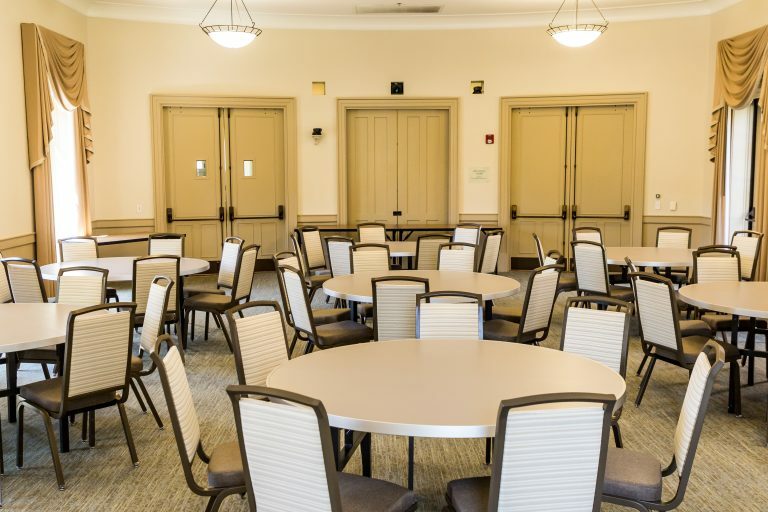 The University Room: in the banquet set-up can seat up to 50 people. It is the best configuration for an event in which food plays an important role in the event. 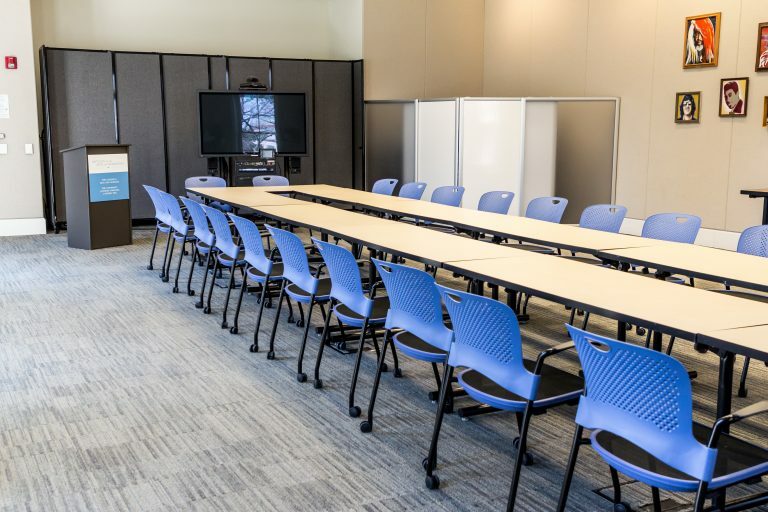 The University Room: The U-Shape configuration seats up to 30. It is an ideal set-up at events in which attendees are asked to fully engage. It also allows attendees to comfortably eat and drink at an event where food and libations are served. 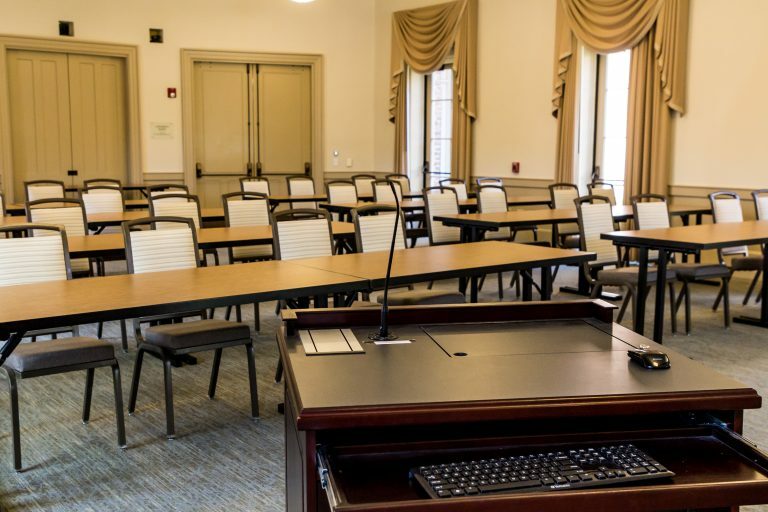 The University Room: The boardroom configuration seats up to 30. 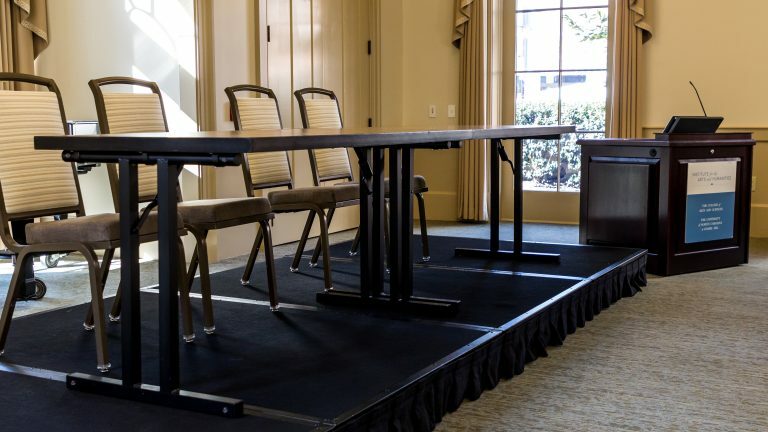 Like the U-shape set-up, it is great for occasions in which attendees are asked to fully participate. It also allows attendees to comfortably eat at an event where food is served. 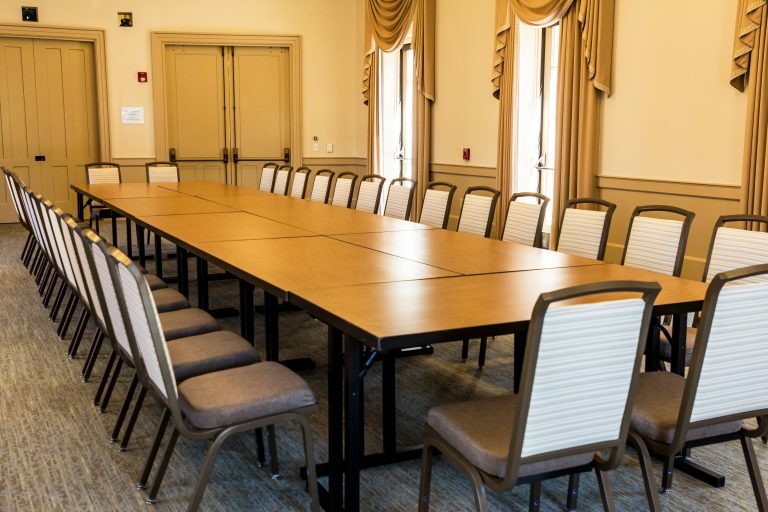 The University Room: The hollow square configuration seats up to 30. It is also a good set-up for an event in which attendees are asked to fully participate. It also allows attendees to comfortably eat and drink at an event where food and libations are served. 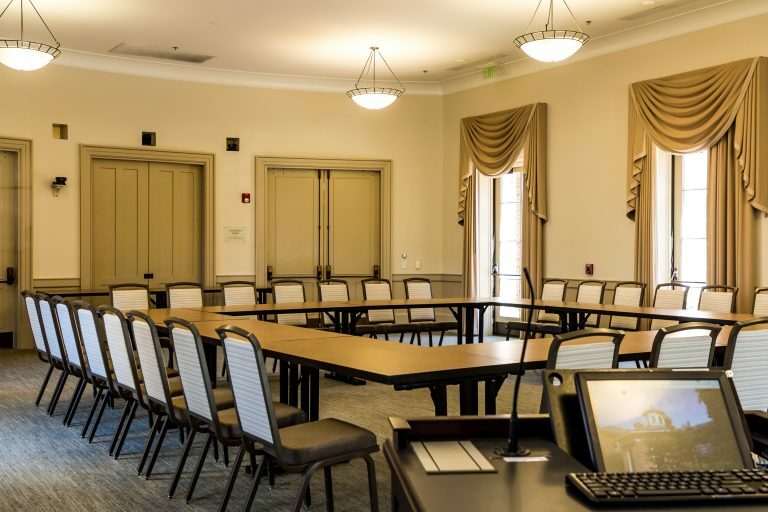 The University Room: It can be set up in a hollowed square (this is a more rectangular version). It is a good configuration for events in which attendees are asked to fully engage as well. This configuration seats up to 30. 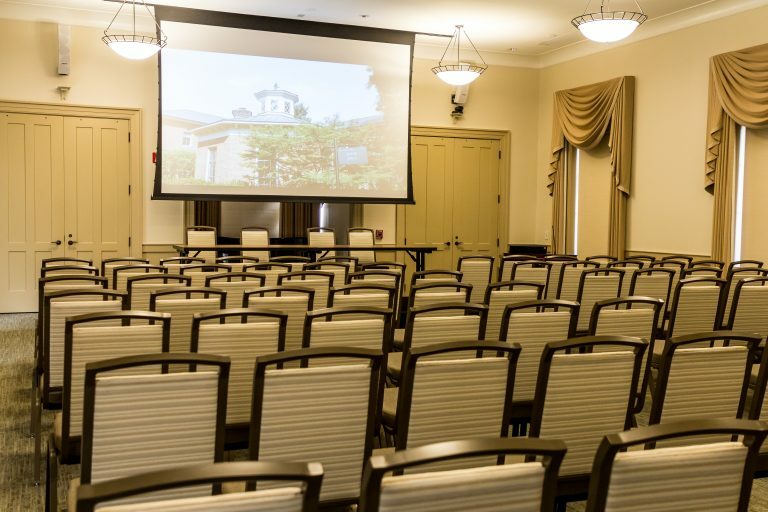 The University Room: The set up in the classroom style is similar to the theater style, for a more intimate event, hosting about 20 people. However, it does allow attendees to comfortably write, think, eat or drink. 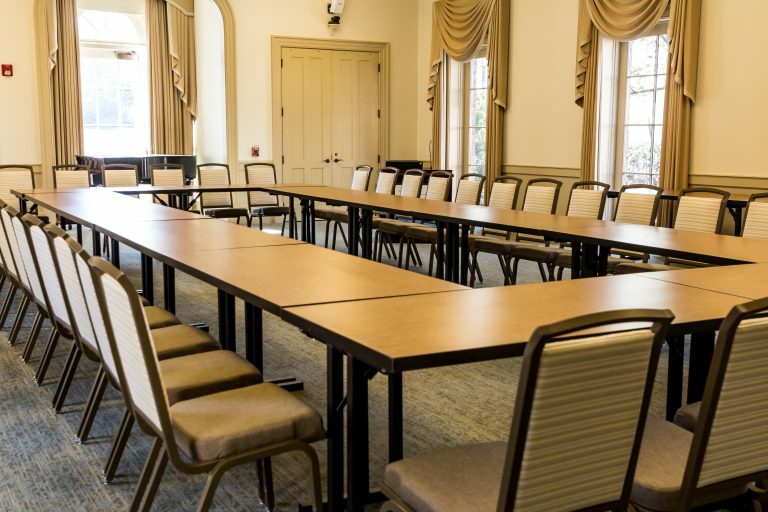 The Seminar Room: It is perfect for smaller meetings of up to 20 people. Additional attendees can be seated in the perimeter of the table for a total of 50 people. 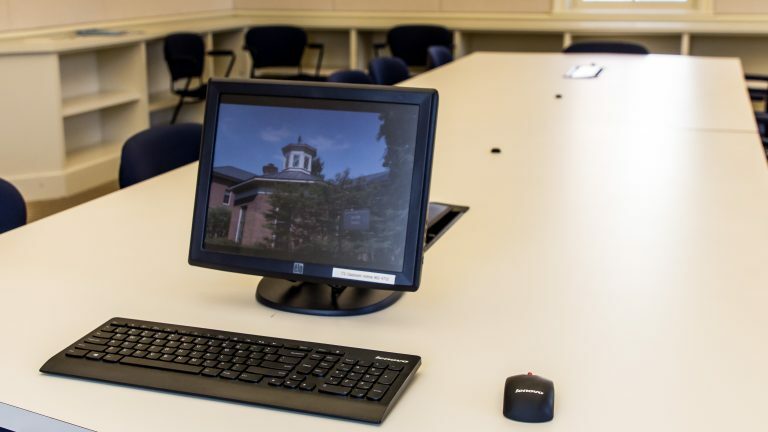 The room is equipped with a computer, two large screen monitors, as well as call conferencing with surround sound and microphones on the table (no food or drink is permitted in this room). 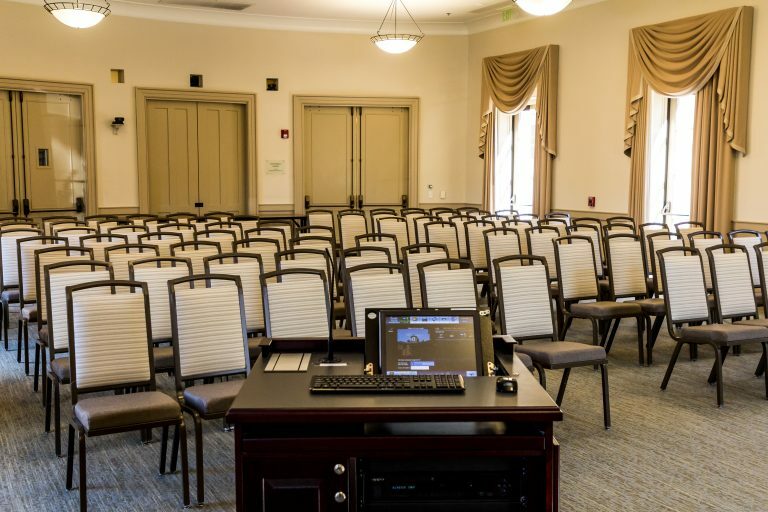 The Seminar Room : Located on the second floor of Hyde Hall. It is equipped with a computer, two large screen monitors, and call conferencing with surround sound and microphones on the table. No food or drink is permitted in this room. The Incubator: This room is also on the second floor of Hyde Hall. This configurable room can host up to 35 people. It has a large screen monitor and floor-to ceiling windows on two of the walls. 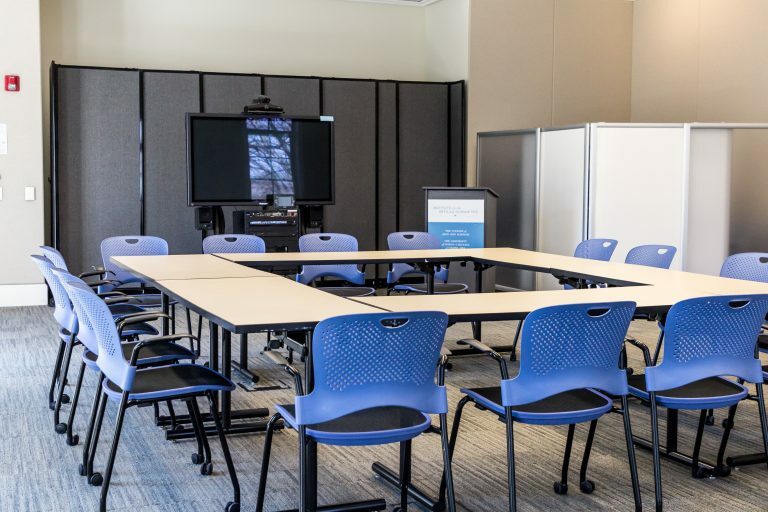 The Incubator Room: The open rectangle configuration allows for an intimate and engaging configuration. It seats up to 25 people. 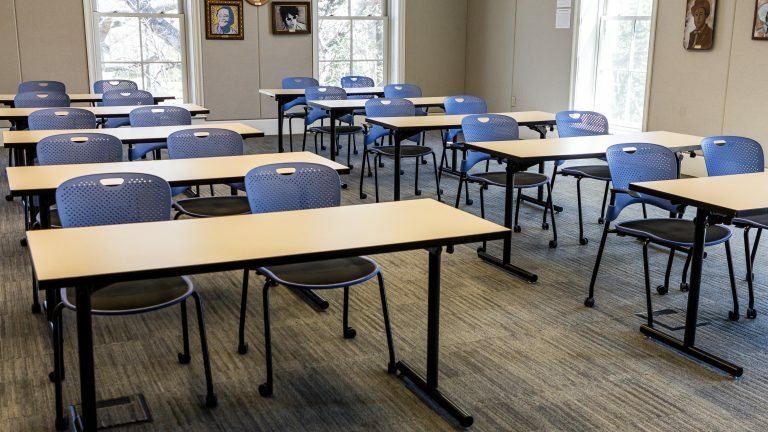 The Incubator: Configured in the classroom style seats up to 20 people. It does allow attendees to write, eat, or drink comfortably. The room faces a large-screen television. 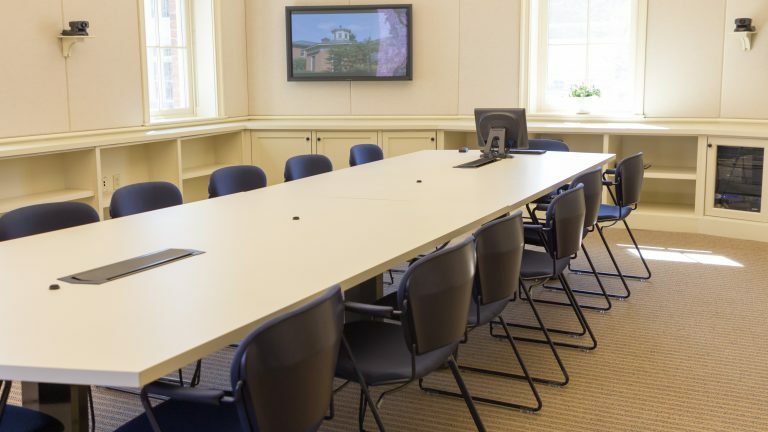 The Incubator Room: The boardroom configuration seats up to 25. Like the U-shape set-up, it is a good set up in which attendees are asked to fully participate. It also allows attendees to comfortably eat at an event where food is served.